A skilled FEA engineer with modest tools can deliver outstanding work. Imagine what this same engineer can do with great tools. We give practical tips to help you select the FEA tools that work for you. Would you manufacture a product without testing it first? We got into CAE because it’s the digital equivalent of testing and optimizing designs. But, without a systematic and structured approach one cannot rely on the accuracy of FEA results. So let us ask you, do you currently have the tools to achieve quality FEA in an efficient way? Can you afford not to explore your options? We’ve been using Femap as a FEA pre-post processor for over 20 years now. We know our way around the software. What attracted us to Femap in the first place? Like you, our requirements are unique. Therefore, clearly state what YOU need the software to do before even considering your options. On May 16th our engineers are available to help you get the big picture first and answer all your questions. Expect to get practical, technical content. We go beyond information you can easily find online. Femap is just one of the CAE tools in our arsenal. What are your FEA priorities? Clarity, efficiency, verification, cost-control, modernization, optimization? We share what to look out for in selecting the right tool for your engineering setup. Meet up with people who deal with some of the same CAE challenges as you. How do they approach them? Come and broaden your technical horizons AND your technical network. Femto Engineering is SMART EXPERT Partner of Siemens PLM Software for Femap. 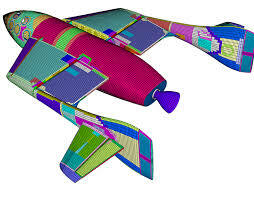 We train people in the effective application of the software and advise engineering teams on CAE software purchases. We believe that with the right combination of engineering resources you can tackle the toughest problems. 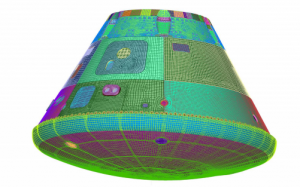 If you like to hear more on what we do best with help of Femap, meet up with us on May 16th. TIP: We have written a more in-depth article about the features we believe really set Femap apart for us. Go check it out here!